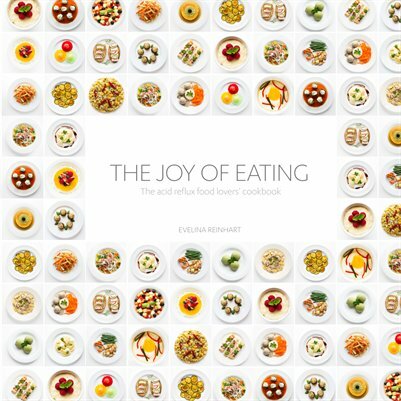 The Joy of Eating is a cookbook which has recipes for people with acid reflux that I developed throughout the years. This book is intended to show that even if you suffer from this disorder, you don’t have to eat bland meals. By making these recipes look appetizing, I wanted to encourage other people with acid reflux to eat a variety of healthy meals.